The days of Nancy Pelosi taking cheap shots at President Donald Trump are over, thanks to the president’s chief of staff Mick Mulvaney. Mulvaney put his foot down on presidential harassment, telling “Fox News Sunday” that the White House will not put up with efforts by Pelosi and her party to continue attacking the president with meaningless partisan investigations. Mulvaney vowed that Democrats will “never” get Trump’s tax returns as the Democrats continue their crusade against the president even after he was cleared of collusion. Pelosi has led a ruthless harassment campaign against the president that showed no signs of stopping, at least without pushback. Democrats are stepping up congressional investigations and subpoenas to find the elusive impeachment golden egg, including a new demand for Trump’s tax returns. Mulvaney said that the tax return push just shows the Democrats are moving on to their next partisan line of attack after Robert Mueller failed to deliver. Democrats had called for Trump’s tax returns long before Mueller’s probe finished, but the collusion narrative’s collapse brought renewed urgency to other lines of attack. Democrats requested six years of Trump’s tax returns from the IRS last week, the first time such a demand was made of a president in 45 years, setting off a showdown between Democrats and the White House. Republicans accused the Democrats of weaponizing tax law and jeopardizing privacy rights in a desperate witch hunt, and Mulvaney echoed the point that tax laws have a “fundamental” purpose of protecting tax filers’ privacy. Indeed, the end of the Democrats’ central narrative of two years — a narrative that united the party’s disparate factions, with contrary policy views on Israel, healthcare and other matters — has put Democrats in a weakened position. Still lacking a unifying agenda, Democrats have unsurprisingly continued to attack the president. 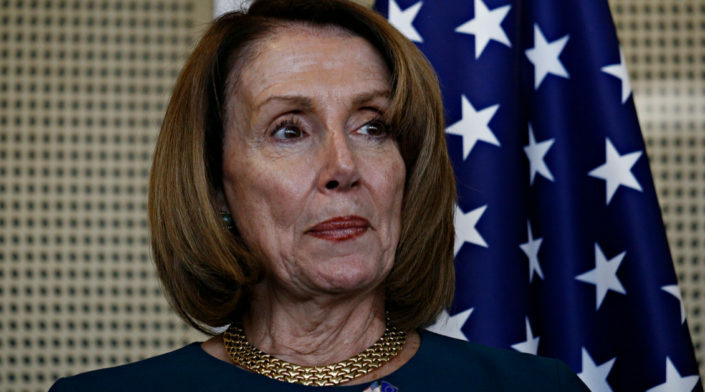 While Pelosi has urged Democrats to focus more on the agenda, she continues to blaze a war path against Trump with attacks on his attorney general, William Barr, whom she and other Democrats have accused of a cover-up. Separately, Pelosi has done nothing to discipline and has praised Democratic committee chairmen, namely Intel chairman Adam Schiff (D-CA) and Judiciary Chairman Jerrold Nadler (D-NY), who are stepping up their own congressional probes into Trump while continuing to claim that he colluded with Russia. With the collusion narrative in tatters, Democrats are shifting to a new tactic: framing Trump and Barr as desperate to hide some evidence of wrongdoing in the report. Pelosi stepped up her calls for Mueller’s full, unredacted report to be released, saying that she “doesn’t trust” Barr and vowing that it’s “only a matter of time” before the full report is made public. Barr said the report will be released within days, with redactions. Pelosi, as she often does, framed these partisan attacks as being in the interest of democracy and the rule of law rather than her party. The Speaker bristled at Barr’s suggestion Wednesday that “spying did occur” on the Trump campaign — a simple fact. But Pelosi claimed Barr’s statements proved he was compromised by loyalty to Trump and that he was undermining the Constitution. Some speculated that Pelosi would let up on her partisan pursuit of the president when she poured cold water on impeachment last month, saying she didn’t want to pursue it without evidence, but this appears to have been double-talk. She did not write off impeachment Wednesday, saying it “may be imperative” but “it’s not worth it” until Mueller’s report is released — an apparent wink and a nod to Democrats still hoping for impeachable evidence hidden somewhere in the report.